My 2nd Brain™ 13 - Harbor Blue fits 13” Macbook Pro® (or 13” Air) plus iPad® (mini or original) and iPhone® with accessories: power adapter, portable hard drives, USB hub, USB connection cable, earbuds, monitor adapters, Ethernet cable, USB drives, SD/CF cards, pens, business cards, and other personal items. 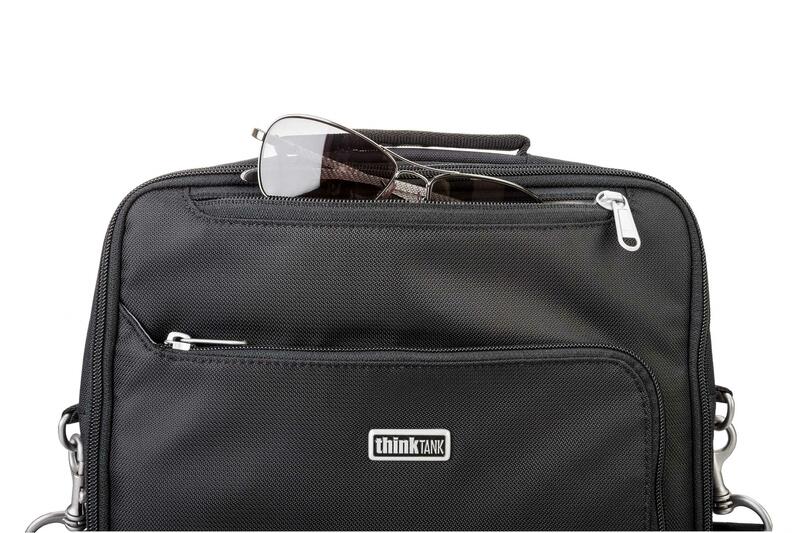 The ultra thin My 2nd Brain™ bag collection are created with pockets specifically sized for Apple® accessories and all the tools needed to support a digital lifestyle. 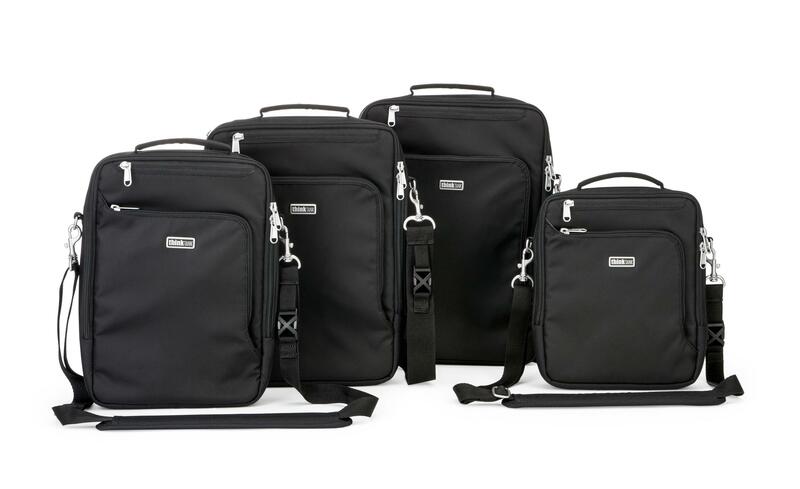 Each case is built for a specific Mac® laptop or iPad® with pouches and pockets matched to those products’ accessories. 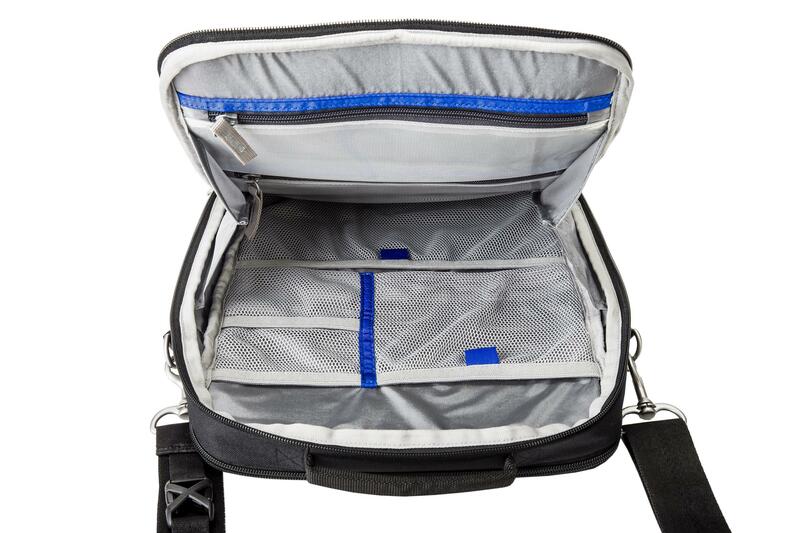 The accessory compartment includes clear zippered pockets and mesh pouches sized for Apple® chargers, cables, adapters and so much more. Even iPhones® or sunglasses have special plush pockets placed for easy access. 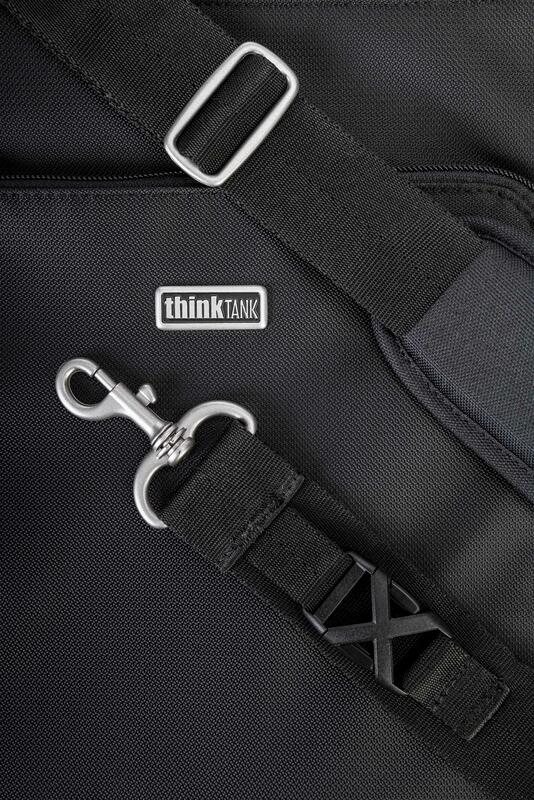 My 2nd Brain™ is built with high quality fabrics and metal hardware that complements Apple’s aluminum unibody finish. 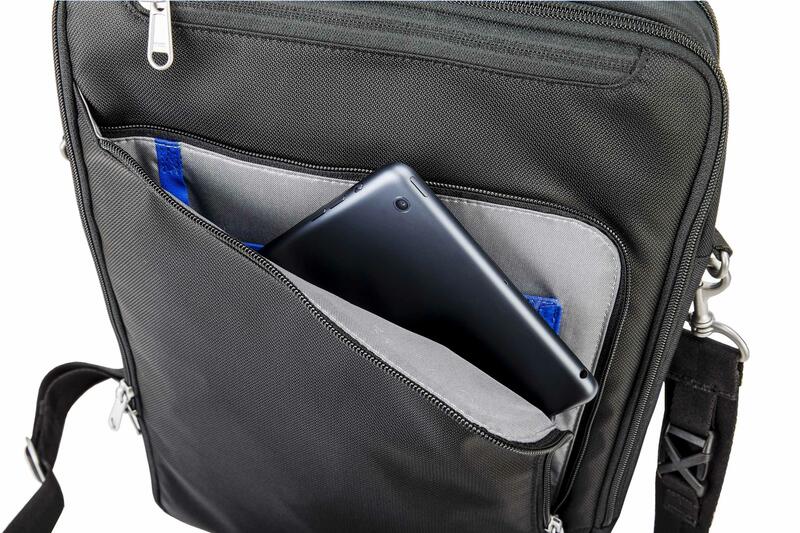 The front pocket unzips to expose a padded plush pouch sized for an iPad® or iPad® mini, as well as an organiser for pens and small accessories. 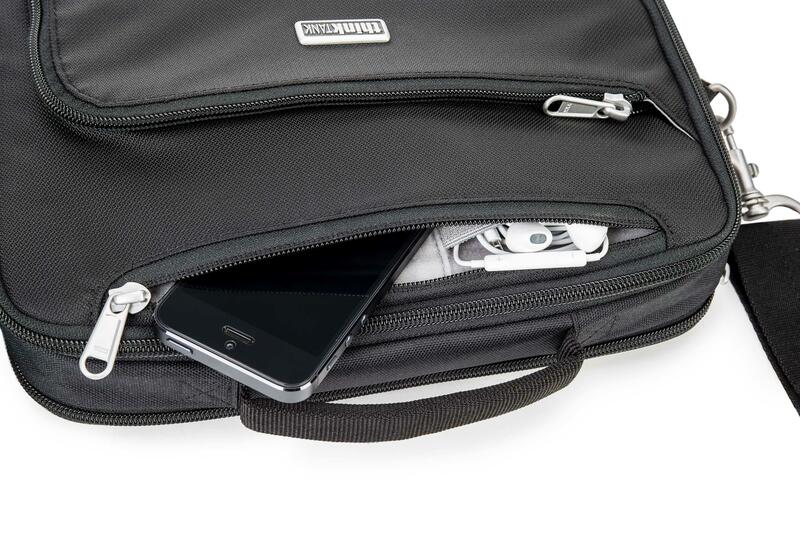 At the top of the bag is a plush iPhone® pocket that includes a pouch for earbuds or a Bluetooth® headset. 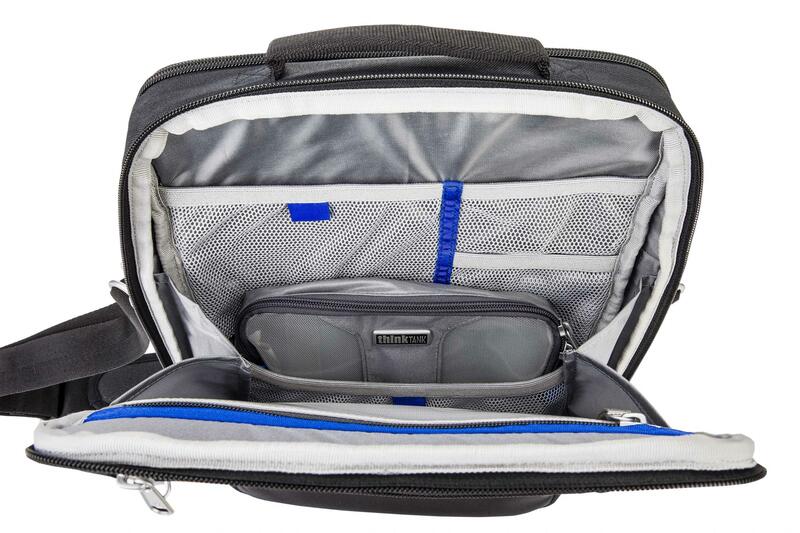 The main zippered storage area is lined on one side with several mesh pouches sized for Apple® chargers and accessories. 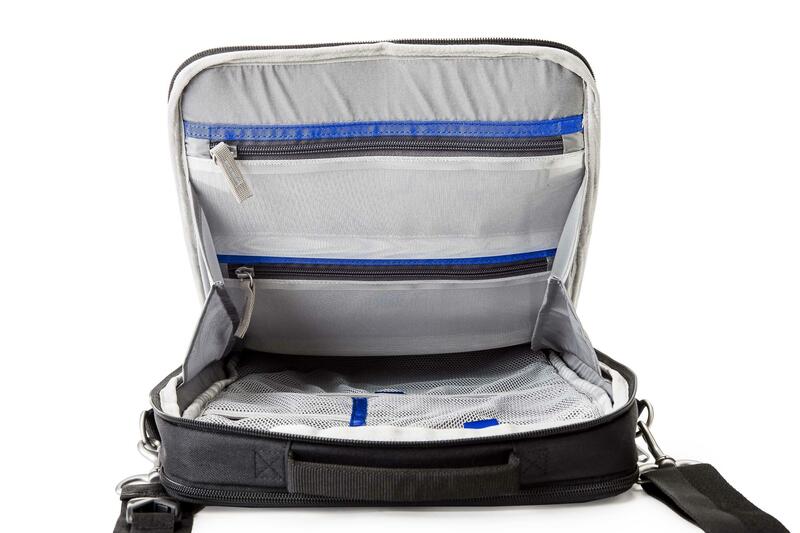 The other side of this storage area is lined with clear zippered pockets to safely hold Apple® adapters and smaller items. 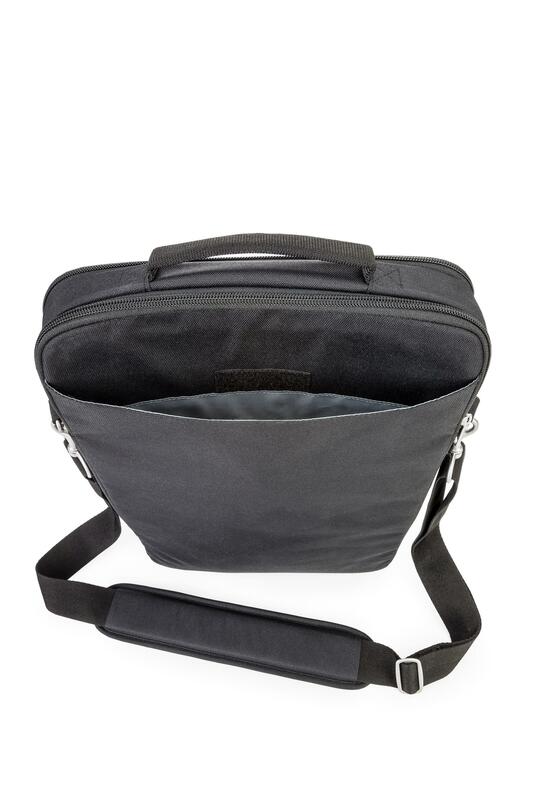 The rear padded pocket is fitted to an iPad®, 11”, 13” or 15” Mac® laptop. 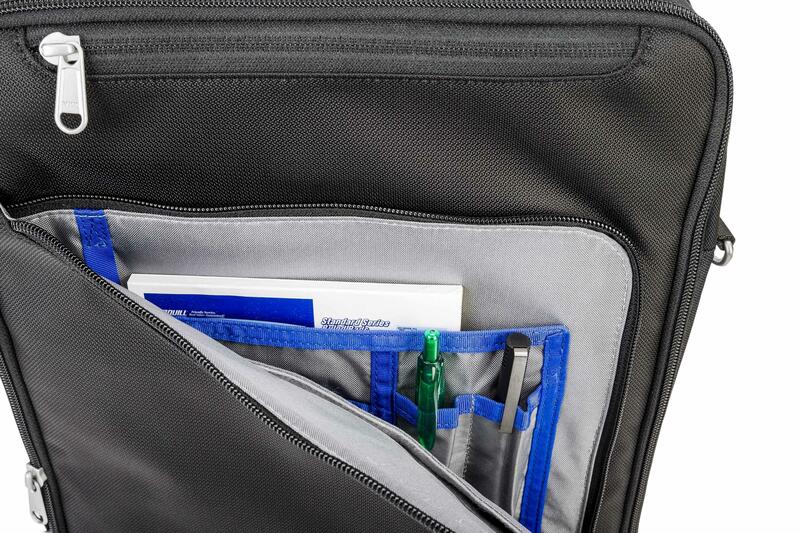 On the rear of the bag is an easy access pouch for documents. 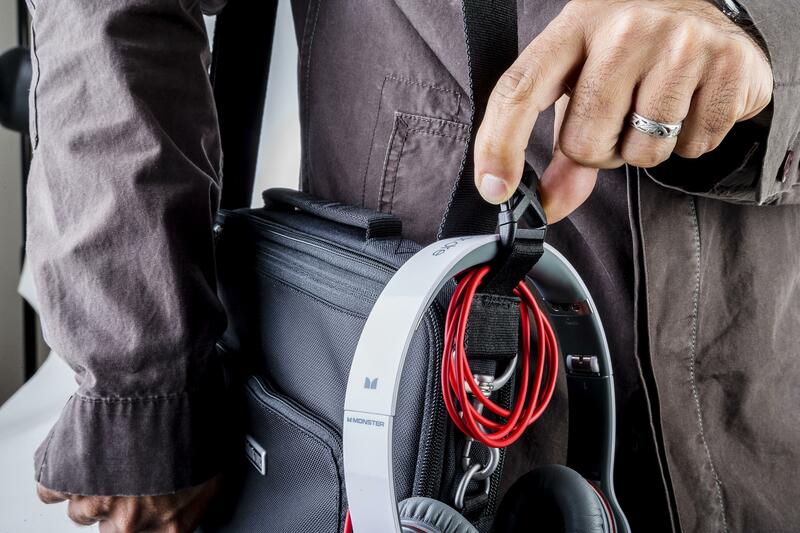 Even the removable padded shoulder strap provides storage with a buckle and strap to secure full-size headphones. 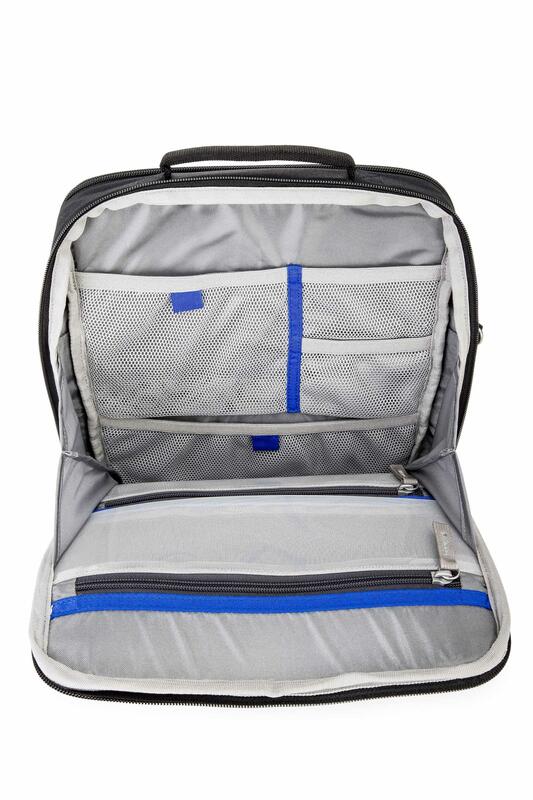 All of this storage capacity is held in a bag that measures just 1.9” to 2.6” thick, depending on the Apple® product for which it was designed. 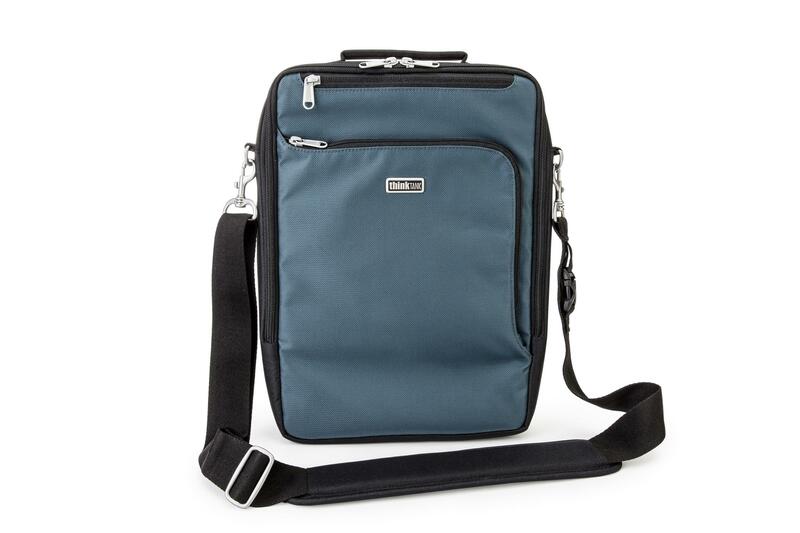 Fits iPad® and iPhone® with accessories: power adapter, USB connection cable, camera connection kit, earbuds, stylus, monitor adapters, USB drives, SD/CF cards, pens, business cards, and other personal items. Fits 11” Macbook Air® plus iPad® mini and iPhone® with accessories: power adapter, super drive, portable hard drives, Ethernet adapter, USB hub, USB connection cable, earbuds, monitor adapters, USB drives, SD/CF cards, pens, business cards, and other personal items. Fits 15” Macbook Pro® plus iPad® (mini or original) and iPhone® with accessories: power adapter, portable hard drives, USB hub, USB connection cable, earbuds, monitor adapters, Ethernet cable, USB drives, SD/CF cards, pens, business cards, and other personal items.